Over the years, scientists have captured spectacular photographs while mapping ice during NASA’s Operation IceBridge mission. Many of the photographs have featured the icy landscapes of Greenland and Antarctica, over which lengthy missions are flown each year over. 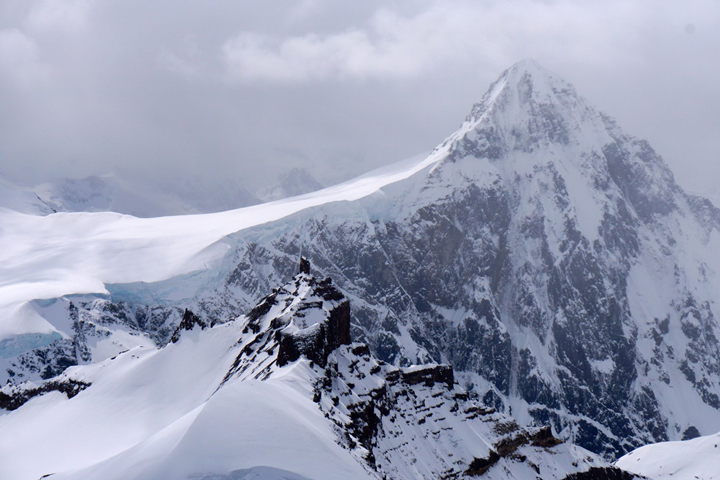 But the views during shorter duration IceBridge missions over Alaska reveal some equally majestic icescapes. 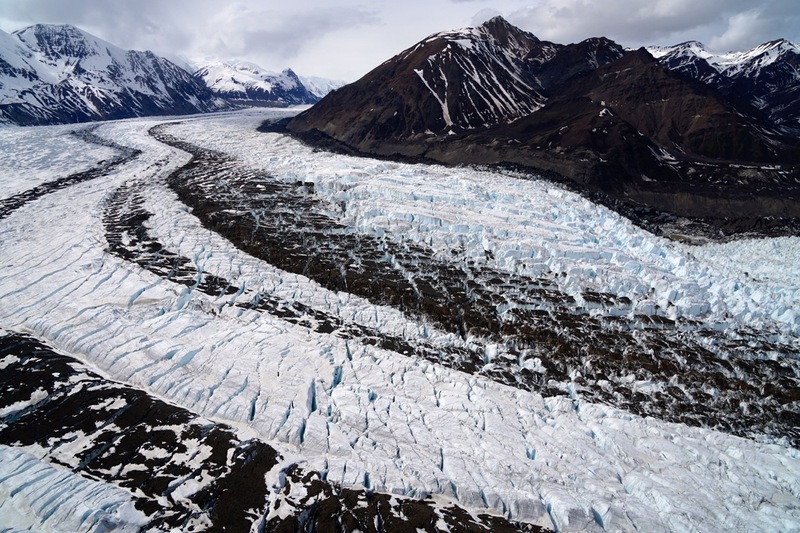 Chris Larsen of the University of Alaska, Fairbanks, snapped these photos in late May 2018 during research flights to monitor Alaska’s mountain glaciers. He has led two sets of IceBridge-Alaska flights each year since 2009. 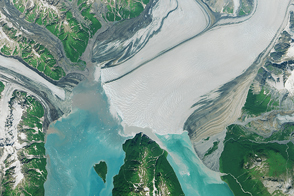 The first image shows part of the Wrangell Mountains of eastern Alaska. Clouds like these were persistent throughout the mission, but the researchers still managed to collect data during 10 of 11 possible flight days. 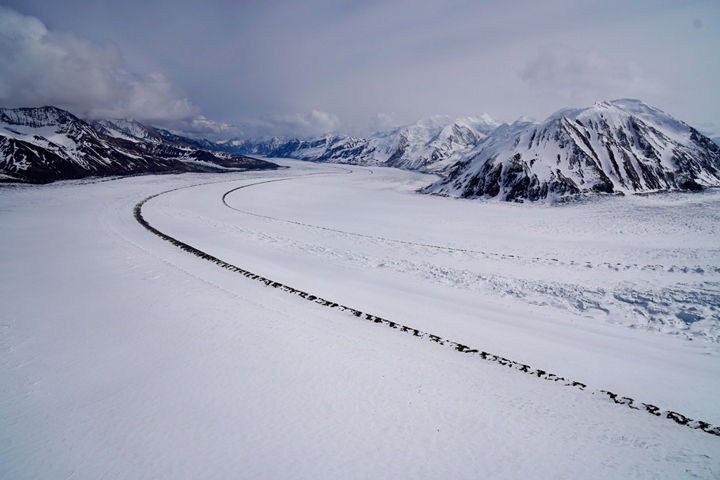 Larsen snapped this photograph while flying over the end of Nabesna Glacier. 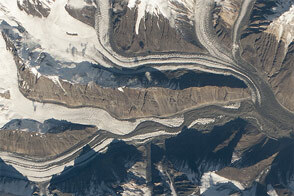 Nabesna stretches more than 75 miles, making it the longest interior valley glacier in the world. The glaciers here are not necessarily pristine ice. As this photo shows, debris has accumulated on the ice—everything from silt to rocks—imparting a dark color. 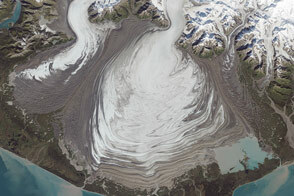 Ridge-shaped accumulations of the debris, or “medial moraines,” run down the middle of the glacier. 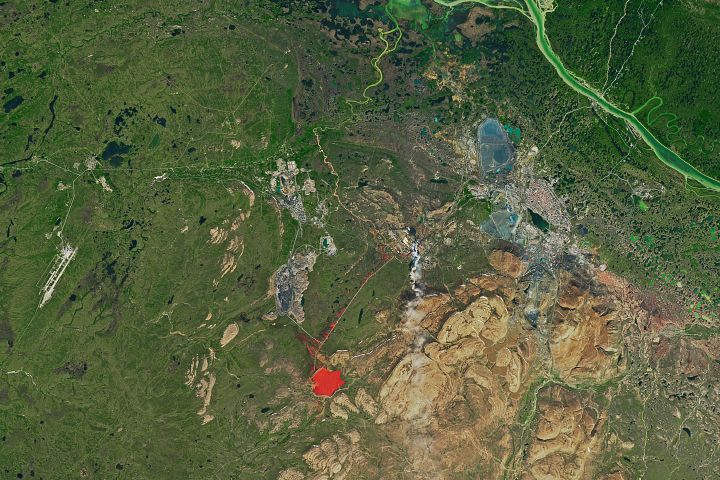 “This is very common in the Wrangells and actually in many interior Alaska mountain ranges,” Larsen said. Operation IceBridge photos by Chris Larsen, University of Alaska, Fairbanks. Story by Kathryn Hansen. 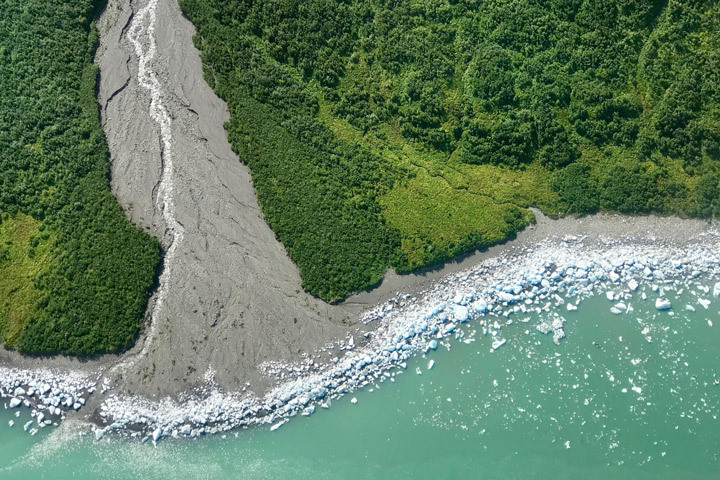 For ten days in spring 2018, scientists flew over numerous Alaskan glaciers. NASA Missions (2018, May) IceBridge. Accessed June 8, 2018. 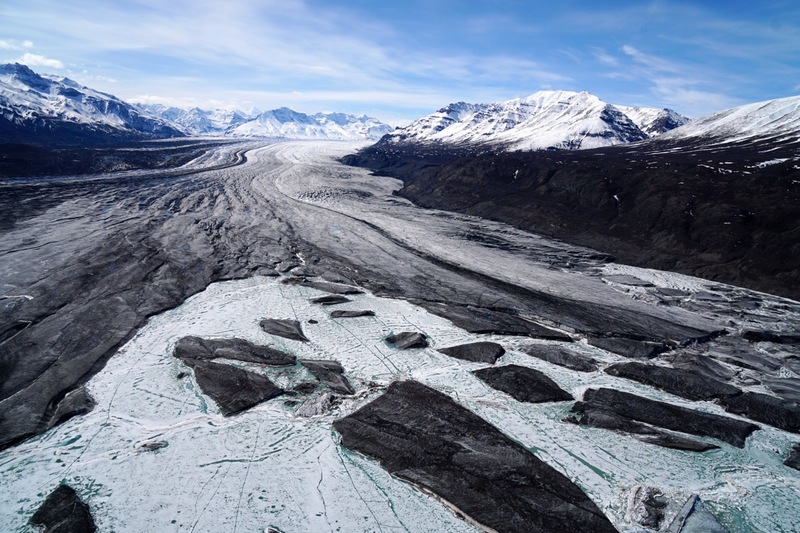 National Park Service (2018, February 23) Wrangell-St Elias, Glaciers. 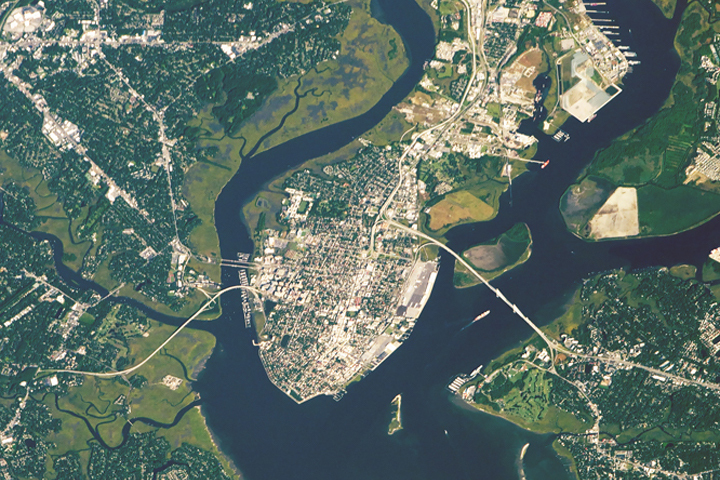 Accessed June 8, 2018.